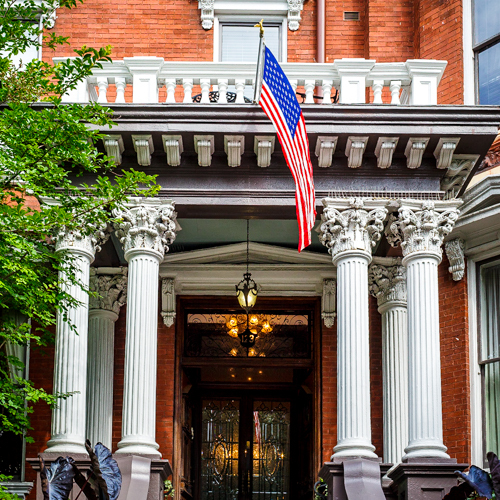 If you're still looking for a great hotel for the Savannah St. Patrick's Day parade, you'll want to check out the six historic inns in the Historic Inns of Savannah collection. 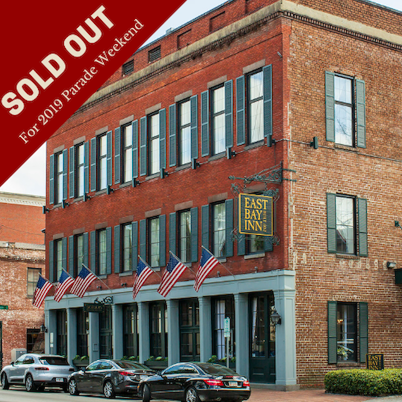 This year's parade will be held on Saturday, March 16, 2019, and rooms are still available at several of the locations for that weekend. This year’s parade will be on Saturday, March 16, but the green and the good times will start several days before. Beginning Friday, March 15, River Street and City Market kick off the biggest Savannah party of the year with live entertainment, artists, food, cold beverages and much more. And, of course, there’s always the green beer and fountains dyed green! If you’ve not been here before on St. Patrick’s Day, make plans to join the fun this year. 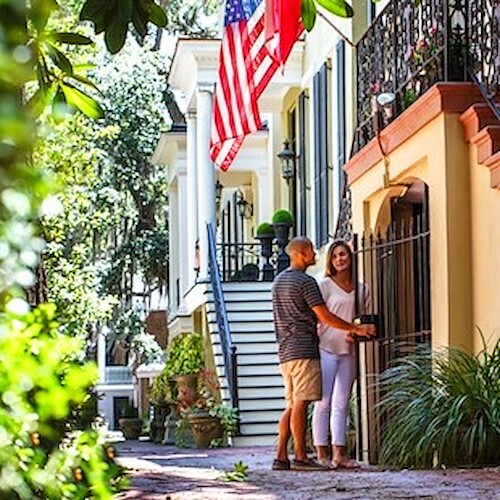 No matter what your preferences are for accommodations, there’s an inn or boutique hotel in the Historic Inns of Savannah Collection that’s right for you! The St. Patrick's Day Parade will swing right by the corner of The Marshall House, so you can count on this Broughton Street location being a hot spot for a spirited good time. Located directly on the parade route, this Inn is always popular for parade and people watching. The East Bay Inn is perfectly situated for enjoying the parade and the party! 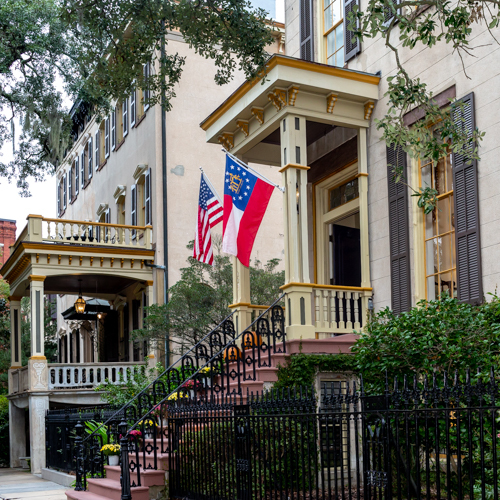 Two blocks off the parade route, the Inn is located in the heart of residential historic Savannah. Here you’ll be just a couple of blocks from Forsyth Park and the green’d fountain. The Kehoe House is located on Columbia Square, central to the parade and just one block off Bay Street and two blocks from River Street. It’s right around the corner from The Marshall House, so it’s convenient to Broughton Street, City Market and River Street. 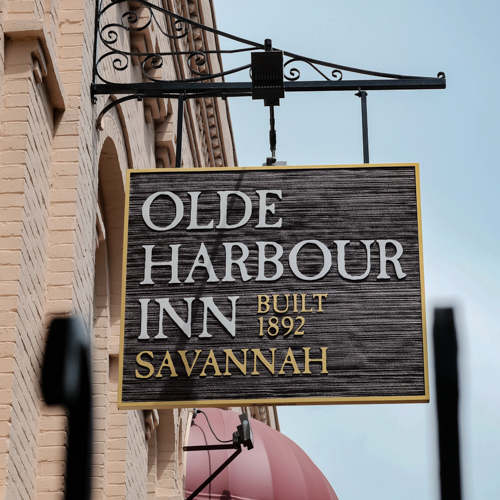 Located directly on River Street, Olde Harbour Inn is the best location in Savannah for being in the very center of the St. Patrick’s Day Celebration. All the rooms are suites, and the hotel is pet and child friendly. The Gastonian is located one block away from Forsyth Park and the famous green’d fountain. This award-winning inn is located in a residential neighborhood, near all the fun, but in an excellent position to provide a peaceful, relaxing Savannah afternoon after the parade. The St. Patrick's Day is undoubtedly a favorite celebration in Savannah. 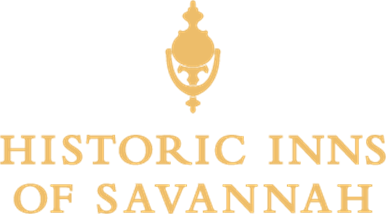 Join us at one of the Historic Inns of Savannah with your friends and family for Savannah's most festive event of the year.